Rwanda is locally known as the land of a thousand hills, internationally recognized for its Mountain Gorillas, coffee and technology innovation, and most infamously remembered as the country where between 500,000 and one million people were killed in less than 100 days. Rwanda is one of the smallest countries in Africa, yet it underwent one of the biggest tragedies in world history. Between the 1870s and 1900s, the Scramble for Africa saw European conquest and colonization create ethnic division based on abstract European notions of ethnography and societal class structure. Eventually, these ethnic class tensions grew and culminated in what became known as the 1994 Rwandan Genocide. This program is designed to expose students to the rich history and culture of Rwanda, both before and after the genocide. Students will learn about Rwanda’s ancient history and traditions juxtaposed with its modern identity as one of the top ten fastest growing economies in Africa, according to the World Economic Forum. Students will also hear primary accounts about the historical events that led up to the 1994 genocide; and how reconciliation and development processes are working to unify this country in a profound way. This program is recommended for students who are 16 years and older. Kigali, Rwanda’s capital and biggest city is built across an undulating series of lush hills surrounded by higher mountains, the largest of which is Mount Kigali, rising 1,850 metres above sea level. It is the country’s financial, commercial and cultural hub, served by an international airport and featuring a wide range of accommodation options, restaurants and points of interest, including the Kigali Genocide Centre, an atmospheric market and numerous craft shops. This amazing city is the venue of our program. Longer programs may also include the additional locations of Musanze and Volcanoes National Park. The minimum recommended duration for this program is 7 days. The maximum length is 14 days. 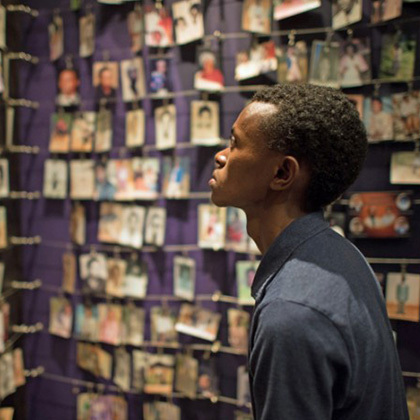 Learn about the horrible events of the Rwandan Genocide by visiting this powerful memorial and museum. Here you will have the opportunity to deeply explore one of the most tragic events that shocked the world in recent history. Understand the factors that contributed to an atmosphere of tremendous division, and be inspired by the lessons of justice, forgiveness, and restoration that Rwanda has to impart. 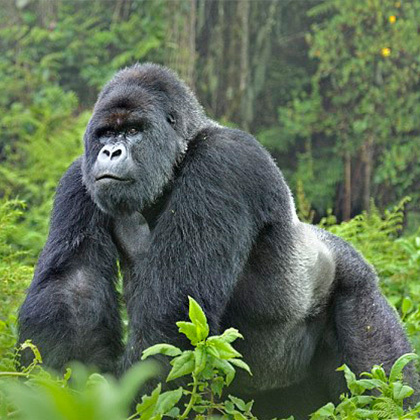 This once in a life-time experience allows you to share space with magnificent silverback gorillas, observing them from close distances on highly controlled trekking paths through their habitat. An encounter with these wild and endangered animals is one that you are not likely to forget.